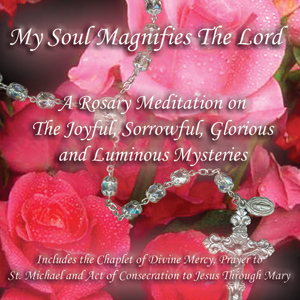 This beautiful Rosary meditation has inspired thousands of people. Each poignantly dramatized mystery contains a reflection that relates to our every day lives. Journey into the heart of Jesus through His Blessed Mother Mary in this profound prayer experience. These CDs include the Luminous Mysteries.